Apple on Wednesday pushed first betas of what would become the minor iOS 12.1.1, tvOS 12.1.1 and macOS Mojave 10.14.2 updates. The betas are available to Apple’s registered developers and members of the Apple Developer Program. Public betas should follow shortly after the developer builds, but you’ll need to register with the Apple Beta Software Program. UPDATE: Apple has pulled the macOS Mojave 10.14.2 beta for unknown reasons less than two hours after it dropped. The software again became available for developers to download through Apple’s Dev Center on Thursday, November 1 (the build number has not changed). 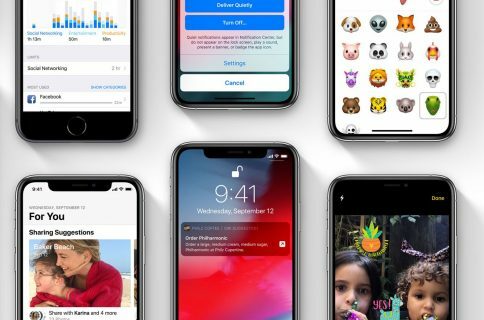 They arrived a mere 24 hours after the Cupertino technology giant released the major iOS 12.1, tvOS 12 and watchOS 5.1 updates to the public that brought multiple new features to the iPhone, iPad, iPod touch, Apple TV and Apple Watch devices. However, watchOS 5.1 beta was pulled over bricking some watches. The changelogs for today’s betas don’t mention any outward-facing user features, which is expected because these so-called point releases are about bug and security fixes, mostly. iOS 12.1.1 “contains bug fixes and improvements,” reads the changelog. Like other Apple OS beta software, today’s releases require installing a special Apple configuration profile onto your device which can be obtained from the company’s portal for developers. After the profile has been installed, restart the device and the beta will appear as an over-the-air update through Apple’s Software Update mechanism.